Nowadays, missing teeth no longer pose a major problem. Thanks to modern dentistry, one can choose from a number of teeth replacement options. One of these options is the denture. Forster Dental Centre fabricates dentures along with other premium quality restorative dentistry equipment. Read on to learn more about this amazing restorative option. Dentures are removable replacements for missing teeth. Artificial gums hold the false teeth and are attached to a plastic called acrylic, or to a metal called cobalt. The false teeth have the look and feel natural teeth. Today, they made of hard resin. The artificial gums are made from a resin similar to that used for the teeth or with a more flexible polymer material to fit snugly on the natural gums. There are two main types of dentures according to usage. 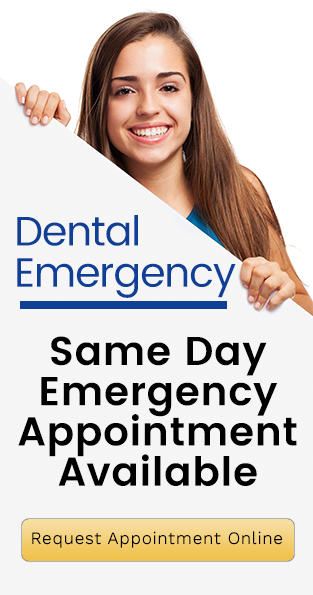 Your dentist will help you choose the best for your situation and needs. When there are remaining natural teeth in the mouth, a partial denture is often recommended. The denture fills gaps left by missing teeth to connect one natural tooth to another. Metal clasps are used to secure the partial denture in place. When there are few to no natural teeth left, a full denture is used. In a full denture, the upper and lower arches are completely replaced with dentures. 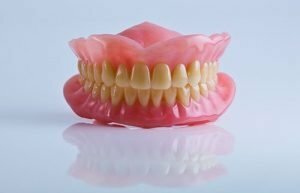 Your dentist will take a mould of your natural teeth (for those with remaining teeth) and gums to make sure that your dentures will fit properly. The teeth are removed after the mould is taken. Your dentist will give you instructions on how to best care for your mouth to allow healing of your gums. Your dentist will then discuss the shade, size, and shape of the teeth that you want for your dentures. The measurements will be sent to the laboratory to be fabricated. After the dentures are made, there may be final adjustments to ensure perfect fit. Smile better with durable restorative dentistry options at Forster Dental Centre. We take pride in using premium quality equipment for optimum make and style of our dental restorations.